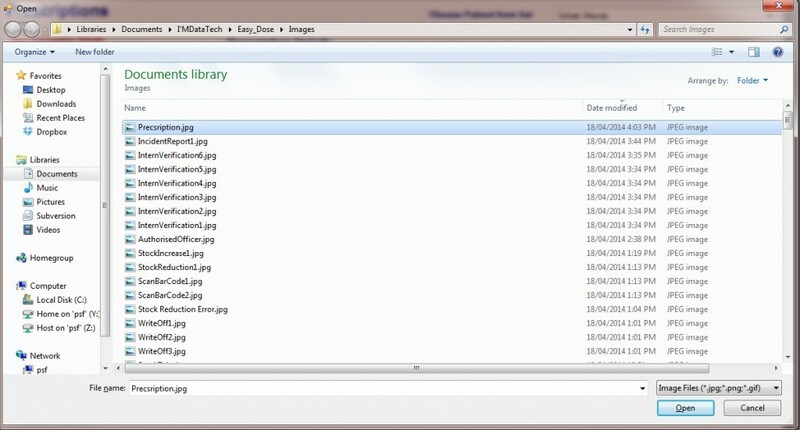 Restoring Data in EasyDose is easy. This can only be performed by Level 1 Administrators and Programmers. To restore a database, select Restore from the Main Menu > Restore. The Restore form will open. Click the button with 3 lines adjacent the empty Backup File field. 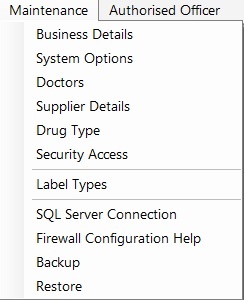 A search dialog box will open where the database is selected. Click Open. Click restore and when complete, a confirmation screen will be displayed. When this confirmation is closed, the EasyDose program will close and automatically restart using the restored database.